Djokovic who was the defending champion at the Australian Open defeated Rafael Nadal in an epic five-setter, 5–7, 6–4, 6–2, 6–7(5–7), 7–5 to win his 5th Grand Slam. This was a time when Federer had slowly but surely lost his magic touch and Nadal-Djokovic were emerging as the Big 2. The French Open was a routine affair for Nadal where he defeated Novak Djokovic 6–4, 6–3, 2–6, 7–5. 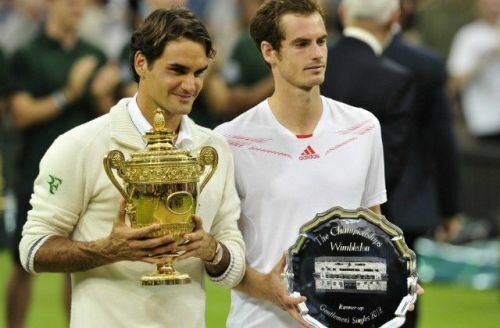 2012 Wimbledon final pitted Federer against the British hope in the form of Andy Murray. Federer won 4–6, 7–5, 6–3, 6–4 and with that his 7th Wimbledon title equalling Sampras' record. Federer also regained his no 1 ranking putting a full stop to claims that he was a diminishing force.